When it comes to imagining “the future of the sports fan experience,” Parsons School of Design blows away the competition. 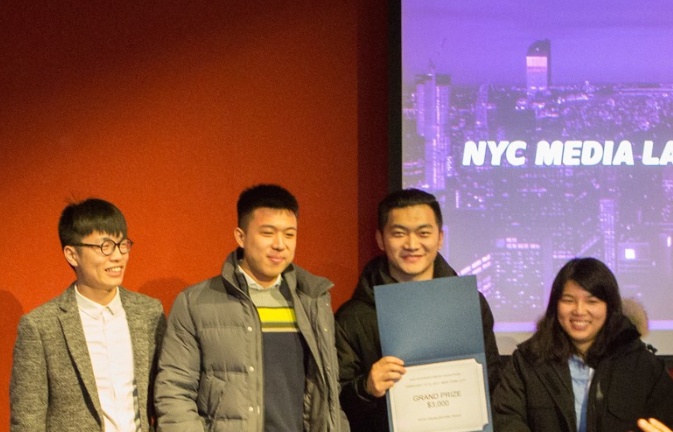 Recently, students from Parsons MFA Design and Technology and MS Data Visualization programs took home the top prize in the Data Visualization category at MLBAM Hackathon, a weekend-long event at New York University’s Media and Games Network. More than 70 developers, designers, and creative technologists gathered at New York University’s Media and Games Network to and rapidly prototype multimedia applications and experiences. Participating teams experimented with a range of technologies, including augmented and virtual reality, projection mapping, live streaming video, animation, sentiment analysis, gaming, and wearable technologies. Executives from MLBAM provided mentorship to the teams. The event was a partnership between MLB Advanced Media (MLBAM) and NYC Media Lab.